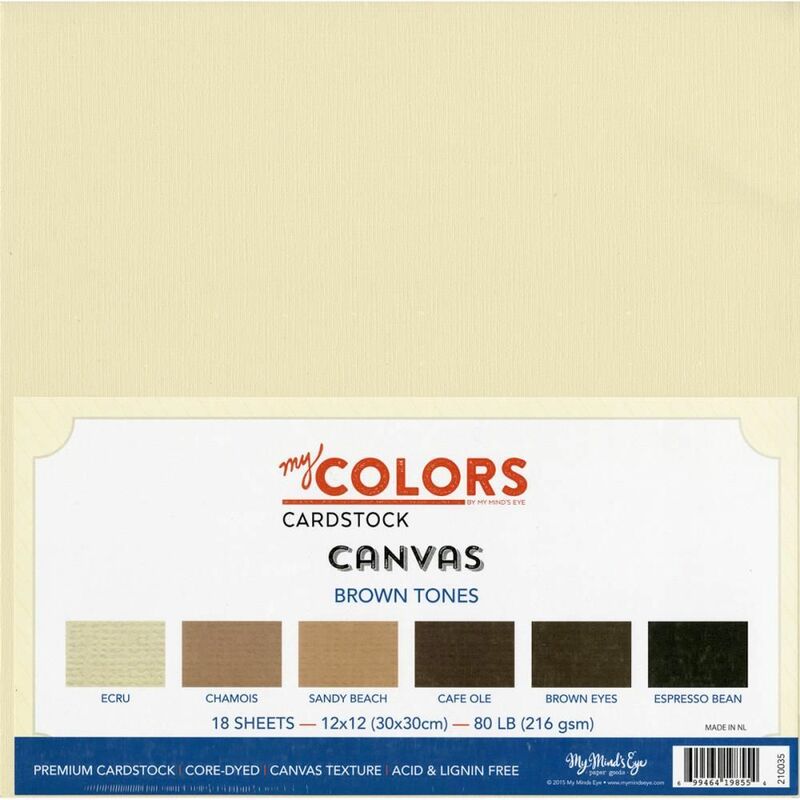 The perfect start to your next scrapbooking, card making and mixed media project! 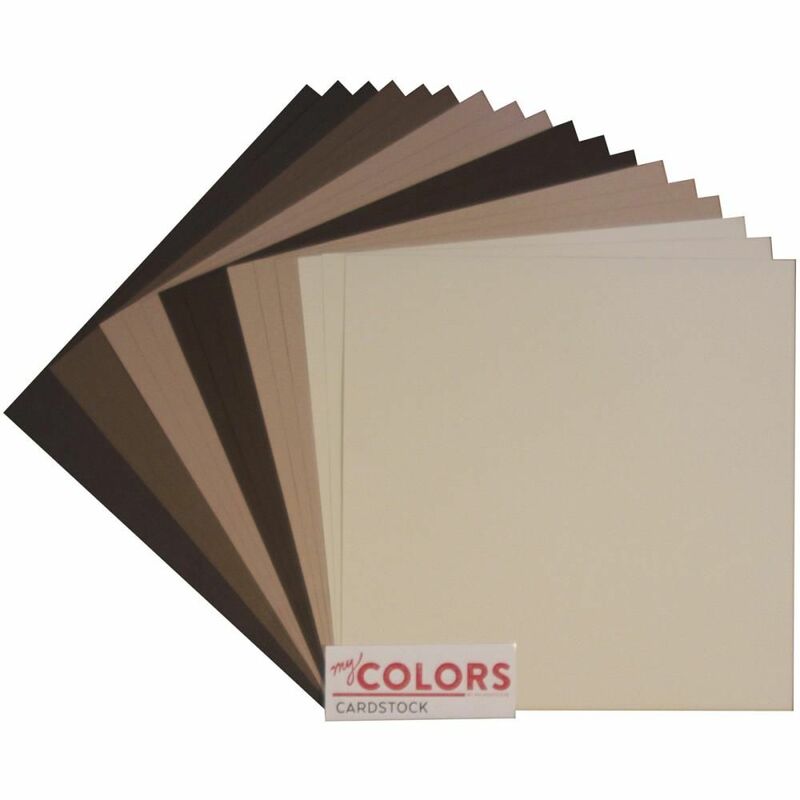 This package contains eighteen 12x12 inch canvas texture 80lb sheets in six colors. Acid and lignin free. Made in USA. 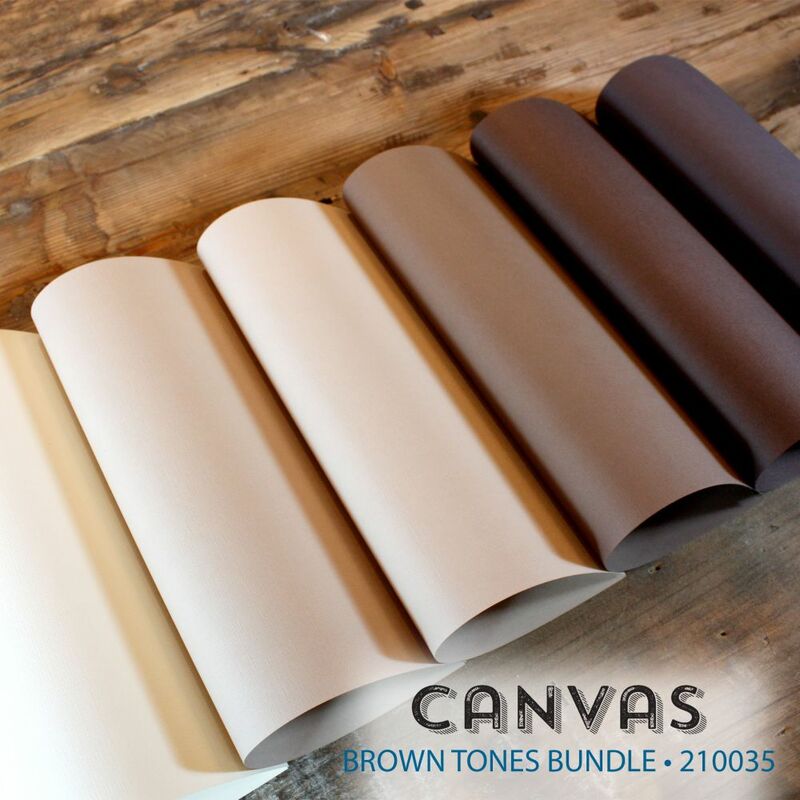 Package includes 3 sheets each of Ecru, Chamois, Sandy Beach, Cafe Ole, Brown Eyes and Espresso Bean.